Thanks to the rise of e-commerce, you can buy almost anything online these days. Books, music, clothes, electronics, even unexpected things like cheese. No longer are turophiles relegated to dairy aisles, corner delis or cheese shops. From the comfort of their couch, anyone can order wheels, bricks or wedges of deliciousness with the click of a mouse, or a tap of their finger. But shipping cheese comes with packing needs other products do not. You have to ensure quality, texture and flavour are kept intact—and that requires specific materials. Here’s the 5 packaging supplies you’ll need to help get your customer orders on their whey. Start with a new corrugated box. Old or used boxes may have dents or stains, compromising its strength. Dimensional weight is something to keep an eye on, if you can, as shipping cheese requires the use of extra packaging materials that can increase the carton’s size or weight. If you’re not careful, you can incur extra charges. You can consider insulated bubble mailers if you’re sending small wedges or pieces. 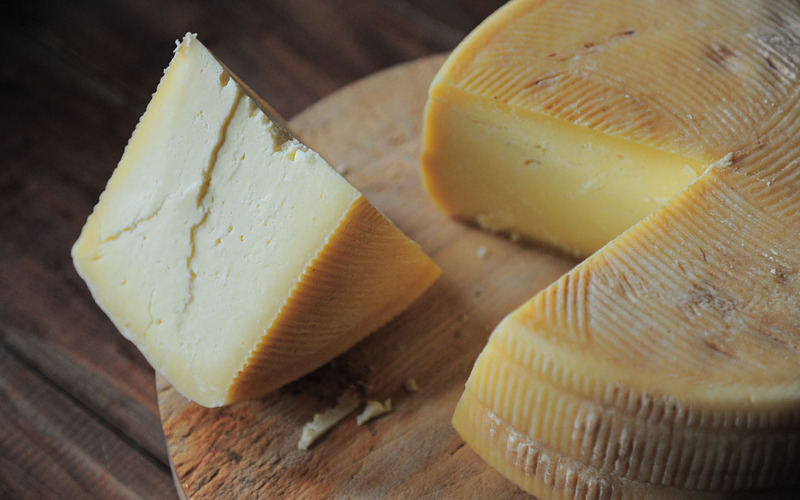 You want the cheese to arrive at your customer’s doorstep while cold, or at least still cool. That means insulating your box for its trip, and there are a few ways to do so. Insulated Bubble Liners keep moisture from damaging the outside of the box, while keeping the inside cool. You’re able to fold and compress them to a degree, but generally you’ll want to choose a liner that fits properly inside the box—neither too big or too small. Insulated Foam Containers maintain internal temperature while helping to prevent liquid leaks. Consisting of a seamless container with a snug-fitting lid, they can’t be folded or compressed. You’ll want to choose a foam container that fits your box as closely as possible, to prevent it from shifting around during shipping. Cold Packs are exactly as they sound—a packaging component to keep your perishable items cool during their trips. Once you’ve insulated your box, these are the next step towards shipping cheese safely and effectively. Insulated Shipping Kits are an easy way to create an insulated shipment. Consisting of a pre-assembled corrugated box, a foam container and its lid, it’s a great option for shipping larger orders of cheese. The kits are reusable as well, making them ideal for returns (if necessary). This depends entirely on how you package your delicious creations. If you vacuum seal your cheese immediately once it’s cut, then all you’ll likely need is some bubble cushion around it for a little extra padding. If it’s not vacuum sealed, wrapping it in waxed or lined paper is a must. It’ll help protect the cheese against moisture, without letting it dry out. Wrap the cheese package in a bit of bubble and it’s ready to be packed up. TPC Tip: You can keep the paper folded and secure with a logo-branded sticker! Now that your box is insulated and your cheese is prepped, it’s time to put it all together. Layer cold packs into the bottom of your insulated box, add a layer of bubble cushion and place the cheese inside. From here, fill up the rest of the box with void fill—biodegradable packing peanuts are a good choice. Then close and secure your insulated box liner or foam container. Grab a tape dispenser and wrap your corrugated box in quality packing tape. We suggest the H-tape method—that is, taping not only the open seam, but the sides of the flaps once closed as well. A tight seal will not only help protect both the integrity and temperature of the cheese, it’ll make the shipment look cleaner and more presentable. And don’t forget a thank you card—it’s an easy way to show appreciation and promote repeat business! If you’re shipping cheese on Thursday or Friday, you run the risk of it being stuck somewhere over the weekend, increasing the chances of tampering or spoiling. Consider express or priority shipping options to get orders to your customers as quickly as possible. And speaking of customers, keep them updated on shipping times, and remind them to take steps to protect the cheese as soon as they receive it. As a maker and/or seller of cheese, you’re doing a great service to the world. Whether it’s in curds, cubes, slices or shreds—who doesn’t love cheese? And with these tips for packaging supplies, you’ll be shipping cheese with the care and safety it needs. For the packaging your delicious creations deserve, The Packaging Company can be your food packaging partner.